If they're good enough for babies, they're good enough for you! Who needs those overpriced cleansing oils when you have baby oil in your beauty cabinet? Douse a cotton pad with baby oil and use it to get rid of stubborn waterproof makeup. Because it’s so gentle, it won’t leave your eye area feeling irritated. You can also use baby oil as a massage oil! You need to add it to your beach bag for your next trip, because it can help get rid of sand on your skin quickly. 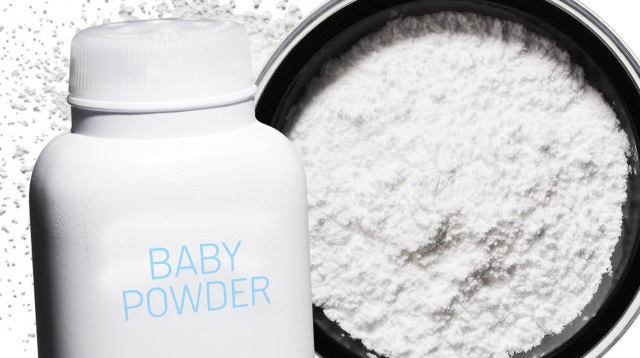 Here’s a list of beauty things you can do with baby powder. You don’t need to be a mom to carry around a pack of baby wipes. These wet tissues are gentle enough to use on the face and lips, so they come in handy, especially when you have a makeup emergency. Plus, they’re super useful for bathroom emergencies! If you have sensitive skin, your derma has probably recommended baby lotion for your body. They’re very gentle and leave the skin feeling hydrated. They don’t contain preservatives, so you’re sure that you won’t suffer from any irritation. Again, perfect for big girls with super sensitive skin. Dealing with super flaky and dry skin? Skincare experts recommend using diaper rash balms on your problem areas. Use it for your elbows, heels, and cuticles to keep them moisturized. Don’t forget to pack one for your next trip to a cold place abroad! Ditch harsh shampoos and use baby shampoo to deep-clean your makeup brushes instead. Here’s a video you should watch. What are some baby products that you still use today? Let us know by commenting below!